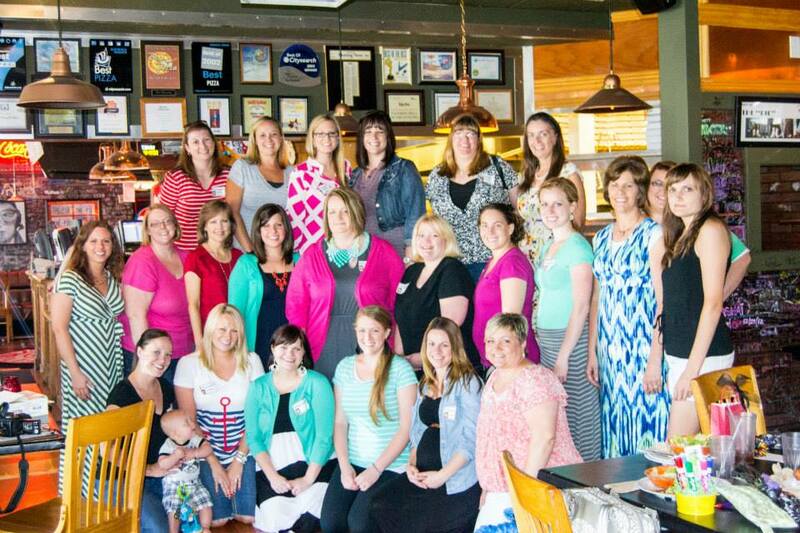 This past Friday I was able to go to the Utah Teacher/Blogger Meet-Up! I confess I was really nervous to go and introduce myself to new people, especially people I admire so much, but it turned out to be an amazing experience. I have never been amongst such kind and lovely ladies! The event was hosted by Natalie and Rachelle from What the Teacher Wants, Lindsey from The Teacher Wife, and Nikki from Melonheadz. What beautiful people! After meeting each of them (and receiving several sweet hugs!) I was so glad that I put aside my jitters and came. I'm sure I gave out TMI and I'm sure I said something totally stupid (I tend to do this when I'm nervous), but I had a great time! And, I totally lucked out and won a few prizes! I got a cute gift bag full of DoTERRA goodies from Natalie, including this lip balm which has utterly changed my life! It has a calming and mood-lifting effect and may stay in my pocket for um...forever! I am so grateful for the opportunity that I had to meet such wonderful teachers! After the meet-up I felt instantly excited about the quickly-approaching school year. I've been making my Target runs, typing up my first week plans, and setting goals to help this be the greatest year possible for me and my kids! I am just about ready to dive in head first to this year! However, there is one more thing to do before we can start with all this Back to School business. I have an August birthday and I've always tried to use my birthday as a good last summer hurrah for everybody. That being said, tonight my family is holding a pinewood derby celebration! Here is my entry...I call it, "The Great Prince of the Forest". Wish me luck at the races!